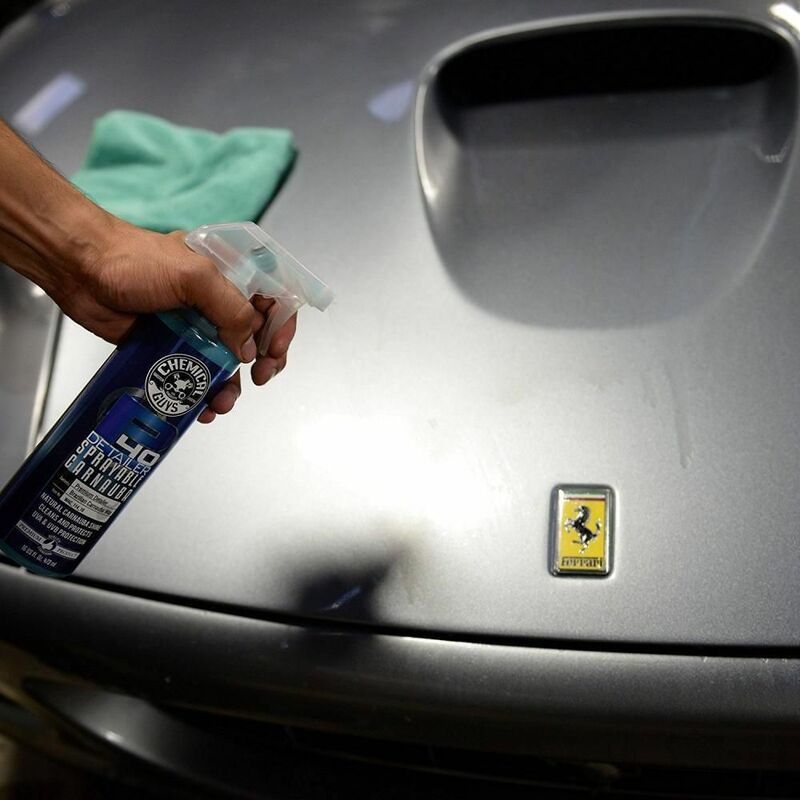 P40 Detailer maintains the best shine in less time. P40 combines synthetic quick detailer spray technology with ultra refined premium Brazilian Carnauba Wax. The carnauba wax creates an amazing streak free high shine with added protection against the elements. The advanced spray formula quickly removes dirt and grime from the vehicles surface without creating any swirls or scratches. 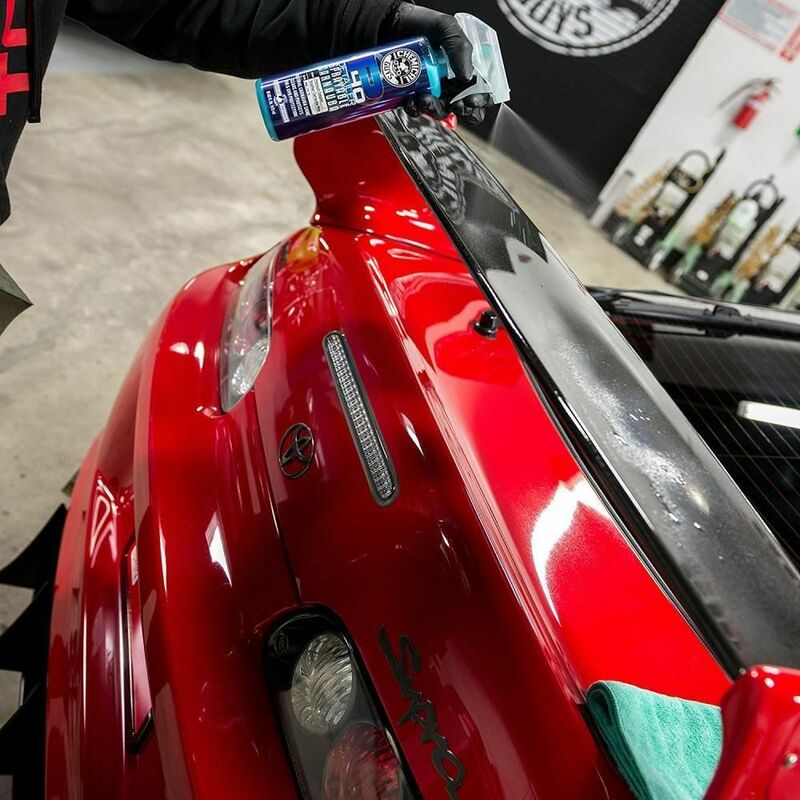 P40 quick detailer maintains your vehicles existing wax and sealant for extended protection. P40 will wipe away dust, fingerprints, smudges water spots and bird droppings in seconds. 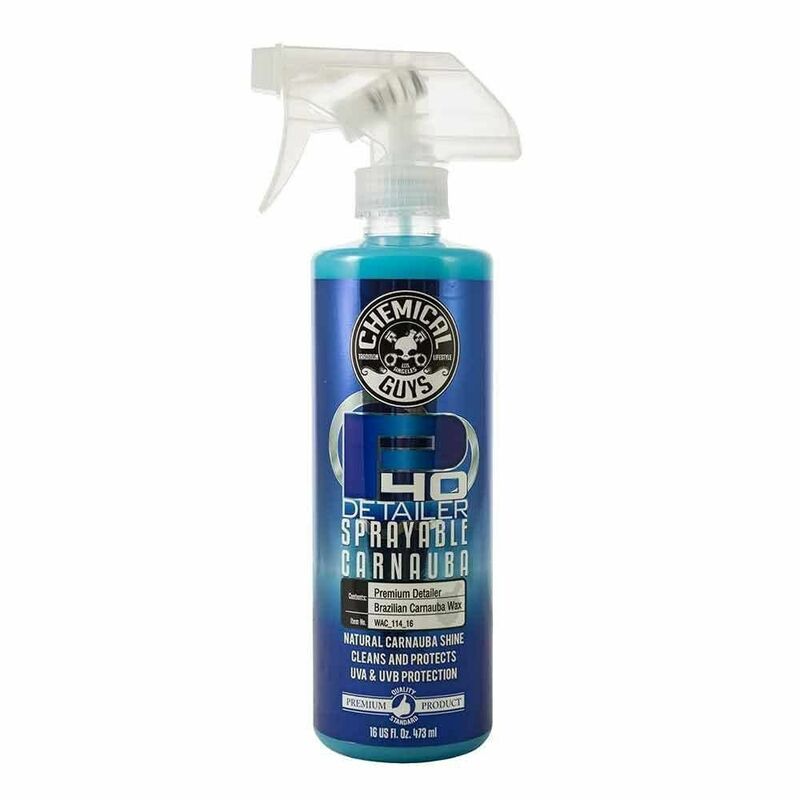 Clean protect and enhance the shine of your vehicle with Chemical Guys P40 Detailer. For best results, use product in a cool shaded area. Shake well then mist P40 detailer onto the desired surface. Using a quality microfibre cloth gently wipe in one direction to remove dirt. Once dirt is removed a light haze of wax will be left in the surface, buff this off to a high gloss shine.